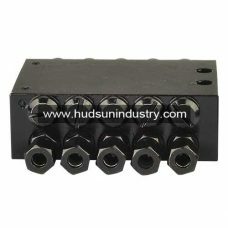 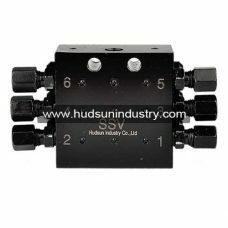 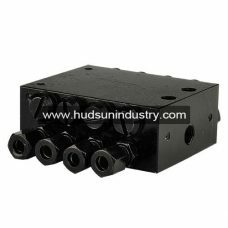 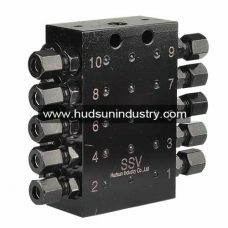 Single line progressive valve SSV12 is designed with 12 oil or grease feeding outlet ports of progressive metering device, it offers a variety combination of lubricating point to transport grease or mineral oil to one or multiply lubricating spots in machine or different working positions. 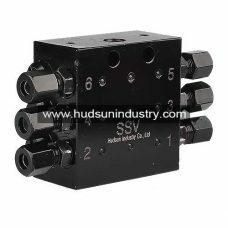 The single line progressive valve is available to by powered by hand operation pumps, pneumatic pumps or electric lubrication pumps for simple or advance central lubricating systems. 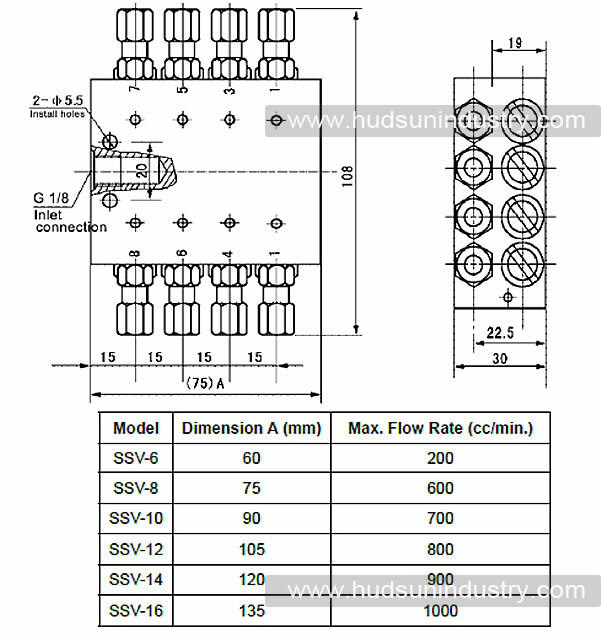 – It is easy to install the single line progressive valve in different kinds of working location, but it is recommended that the single line progressive valve is better to be installed in side instead of chassis or attached plated, where is easy for maintenance and troubleshooting. 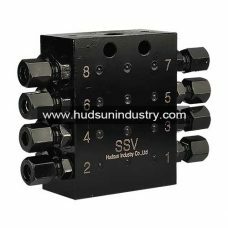 If necessary, the single line progressive valve is installed in the place for visible condition if the indicator pin mounted in one of the outlets for grease volume metering observation. 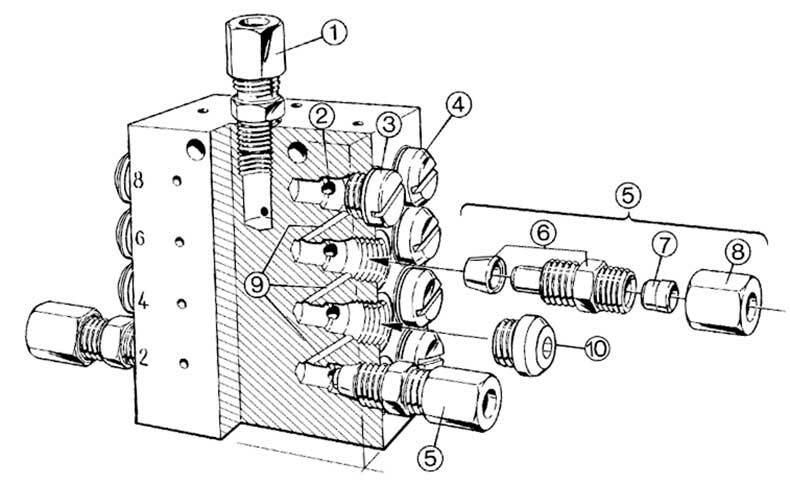 – Related reinforce collar and sealing ring will should be mounted if use push in fitting as inlet connector. 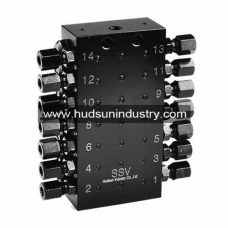 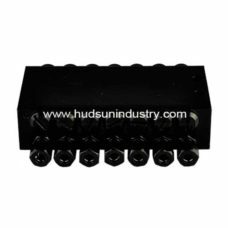 – Standard dimensions of outlet tube fitting of SSV12 with threads of M10x1 to fit lubricant line, recommended dimensions of plastic host isÏ†6mmx1.5 for high pressure. 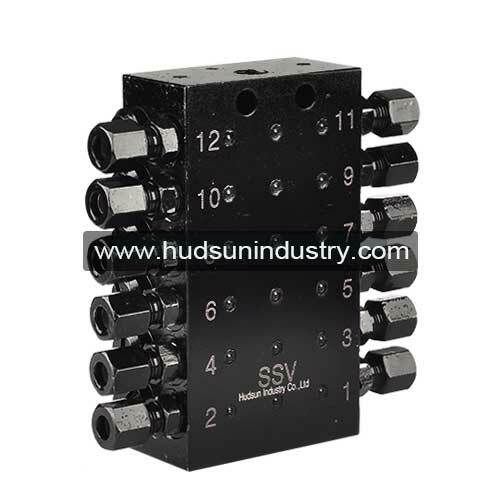 – We strongly recommended to use a reinforced collect if secondary single line progressive valve to connect fittings for lubricate spots, or used for construction or agricultural machines with high pressure hoses as the feeding lines.